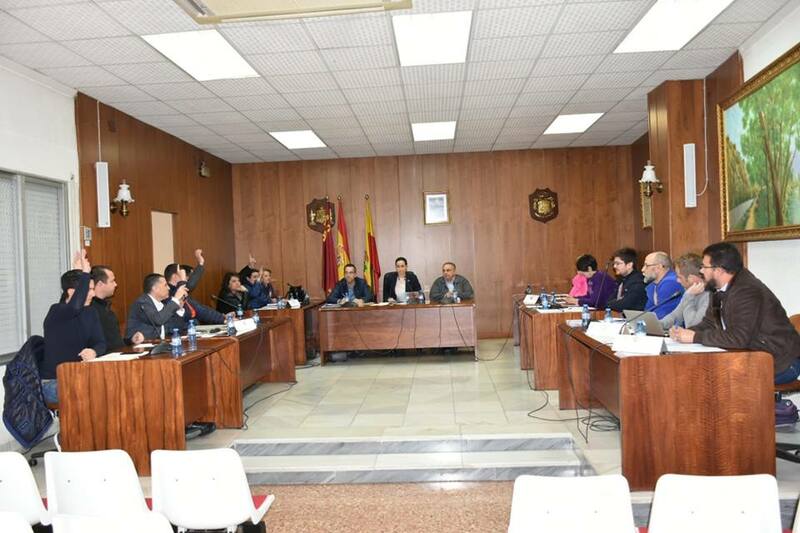 The Plenary Session of the Municipality of Archena that was held this morning with extraordinary character has approved the municipal budgets for 2019, with the votes in favor of the Popular group, against Psoe and Ganar Archena and the abstention of CCD. The councilor of Finance Antonio José Palazón, has highlighted in his defense argument that these budgets have a surplus of about € 52,000. They also consolidate a drop in taxes, such as the ibi (cotribución) by 3%, the tax on the car stamp of another 3% and with a reduction in debt of around 30%. He also pointed out that this reduction affects both suppliers and banks positively and will allow them to make significant investments with their own funds without having to resort to financing. The mayor himself has come to emphasize that cash payments are beginning to be made in a maximum period of 20 days. The mayor Patricia Fernandez, during his speech has ensured that he has given the relevant orders so that the increase in the payroll of councilors and mayor are allocated to the O.N.G Caritas Parroquial de Archena. For the PSOE budgets sustain a deficit system that only worsens the long-term financial situation. The spokesman of the PSOE municipal group Gonzálo Caracena has pointed out that the reduction of the living debt is only 15,000 euros and not of the percentages that have been exposed, because they use a confusing financial contraption, since with the loans of the Fondo de Ordenación, are facing the amortization of the ICO loan, which pays the debt to suppliers, so the debt is virtually unchanged and remains for three years at around 17.5 million euros. Another point has been that the consolidated expenditure on personnel has risen by one million euros to the detriment of the investment chapter. The spokesman for Ganar Archena has argued that they are the end of a cycle of non-compliance. “To be born in Archena is to be born with an important debt under the arm” ·. Ginés Mateo Rocamora, spokesperson for the group Ganar Archena, has focused his intervention on specific aspects with questions such as: How much should each archenero? When is the debt going to be paid? About the legislature of non-compliance has put among other examples the park of Europe, which for 10 years has been remodeling and is yet to be seen. At this point he continued saying that in 2017, 200,000 euros were received from the Community for the works and through a credit recognition 180,000 euros were transferred to another item. In 2018 another subsidy of 232,000 was received and as you can see the works are not started. Another example of non-compliance is the football field of La Algaida, which was to be transformed into an athletics track, for which in the 2018 budgets there was a CARM grant of 200,000 euros and in these budgets the cost of the works is charged to the City Council.